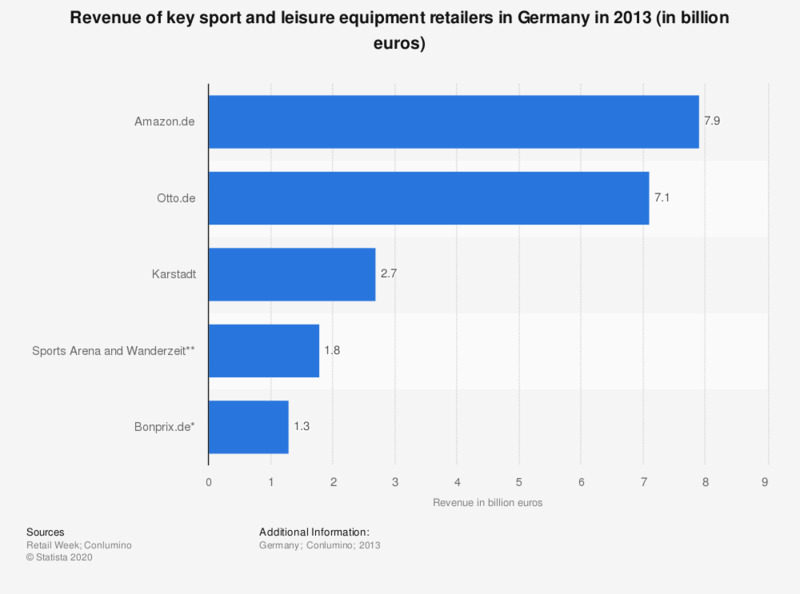 This statistic shows a ranking of key sport and leisure equipment retailers in Germany, by revenue in 2013. Of brands listed by the source, online retailer Amazon.de had the highest sales revenue in 2013 at 7.9 billion euros. Karstadt department store ranked highest for offline retailers with a sales revenue of 2.7 billion euros. Although the ranking lists most key retail brands, it is possible other leading brands may be missing.